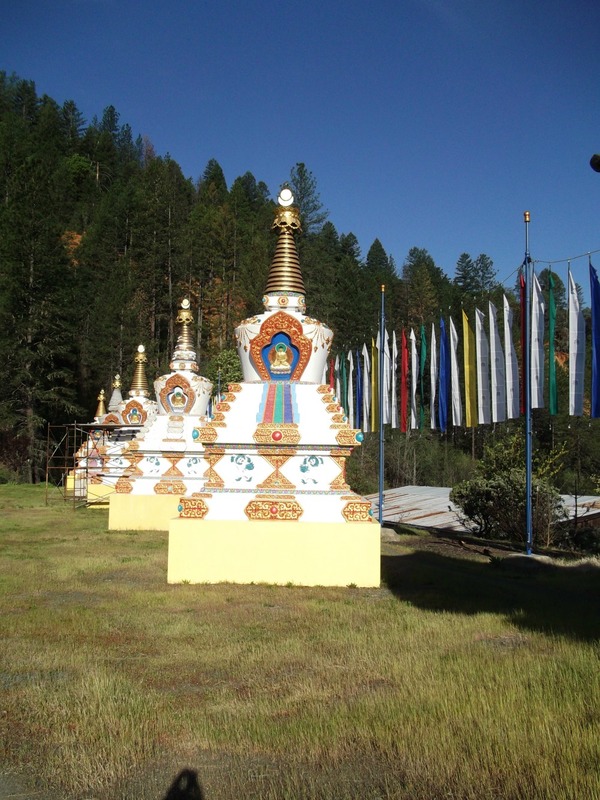 Tour some of the magnificent 300+ acres of the Chagdud Gonpa Nyingma Buddhist center called Rigdzin Ling (Place of the Awareness Holders) through the photographs below, taken April 7-10, 2016, by Lily G. Stephen. 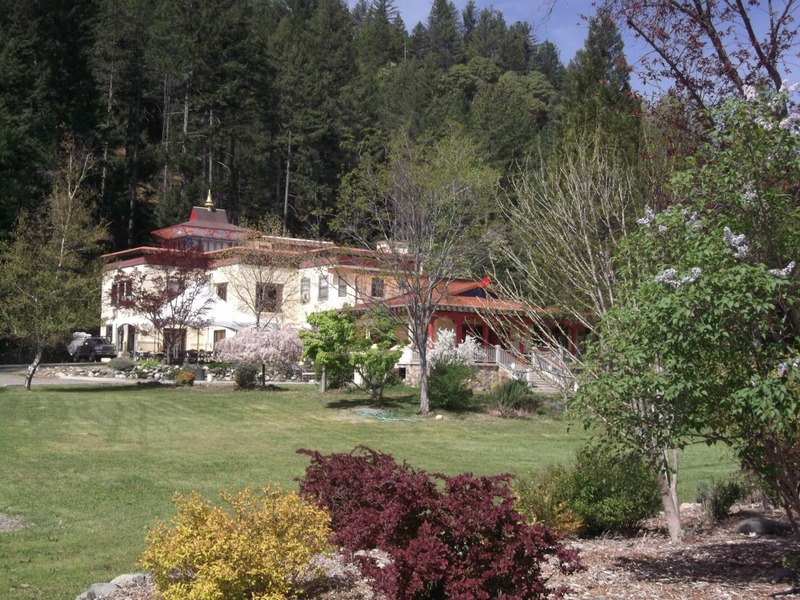 My first view of Tara House, the main Gonpa building where the shrine room is located. 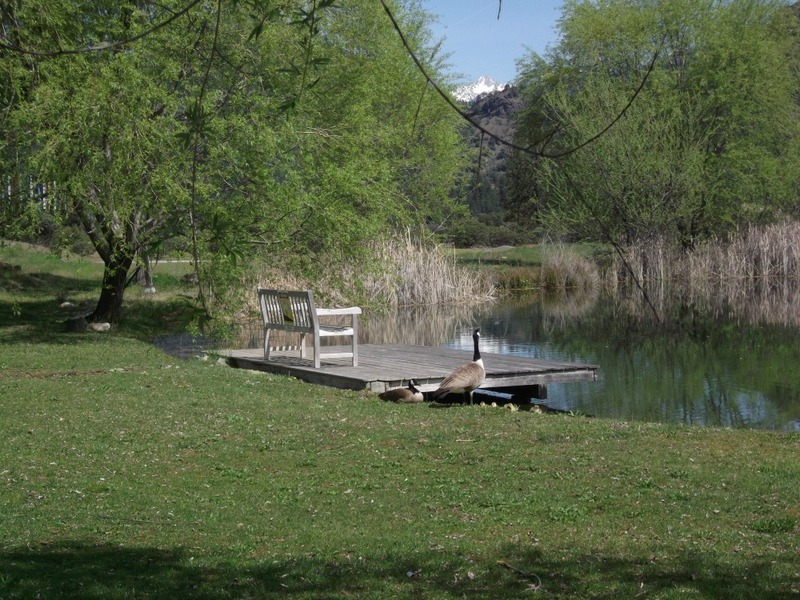 The pond in front of Tara House, home of geese. 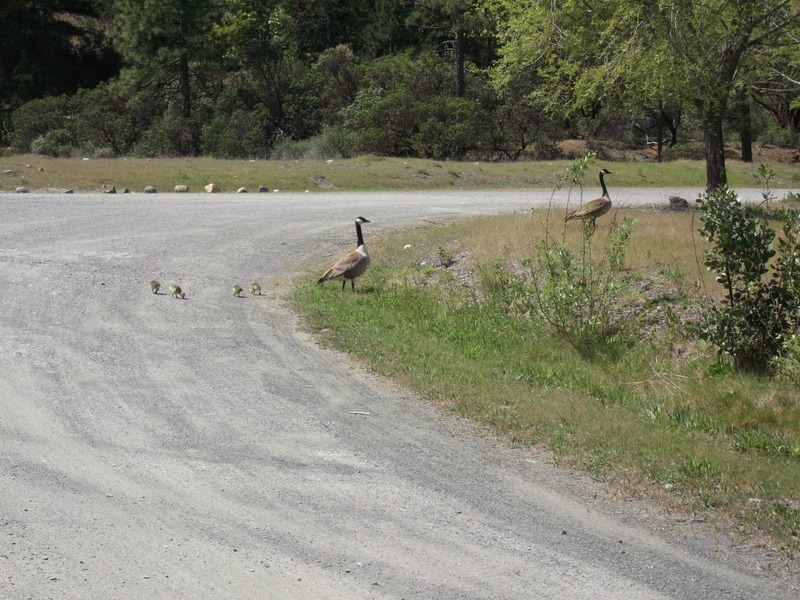 Look closely to see newly-hatched goslings beside them. 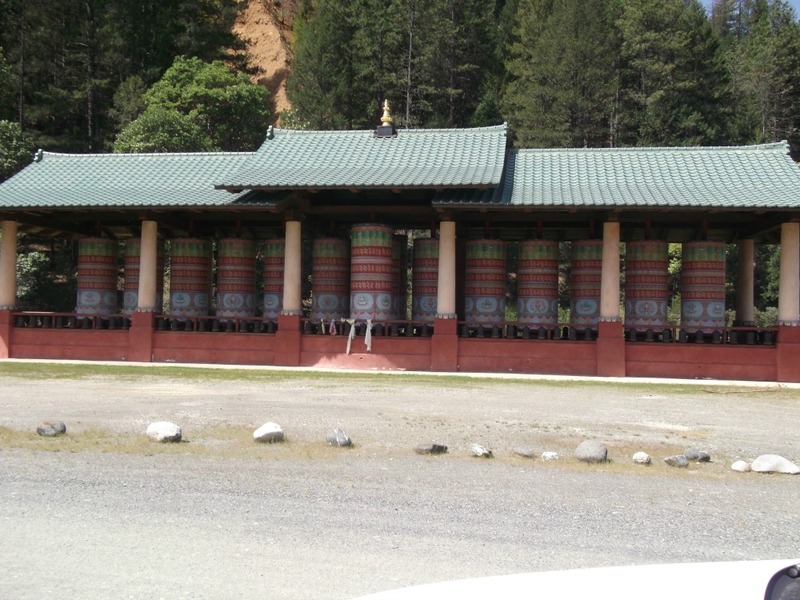 Prayer Wheel Pavilion: These cylinders with profound prayers continuously rotate. 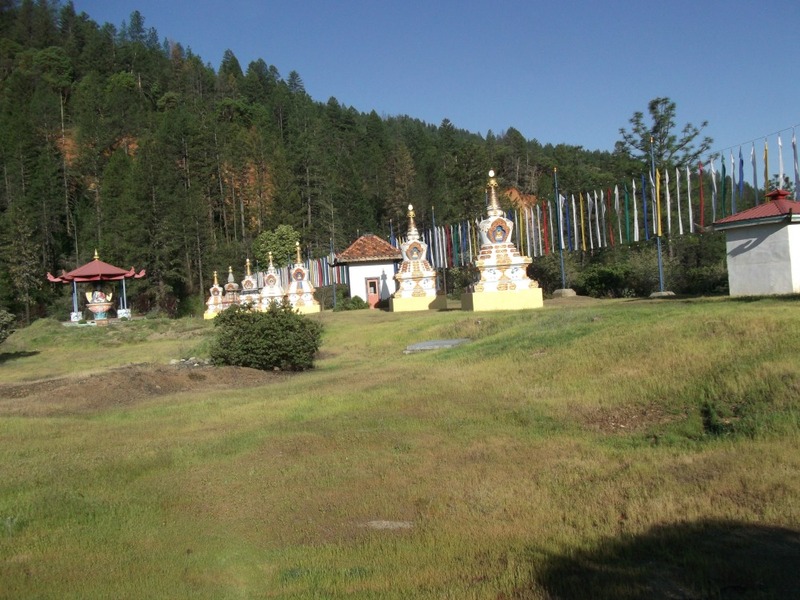 Full length view of stupas, prayer wheel houses, and Guru Rinpoche (Padmasambhava) statue. The stupa, also called choten for the Tibetan form, serves as a support for meditation; as a symbolic reminder of the awakened state of mind; and symbolizes the body, speech, and mind of the Buddha. 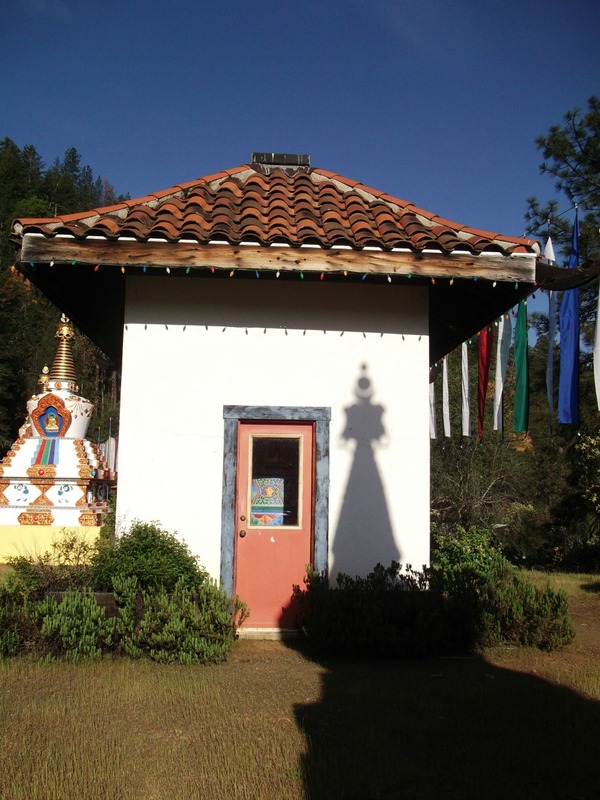 A prayer wheel house with large prayer wheel cylinder continuously rotating. 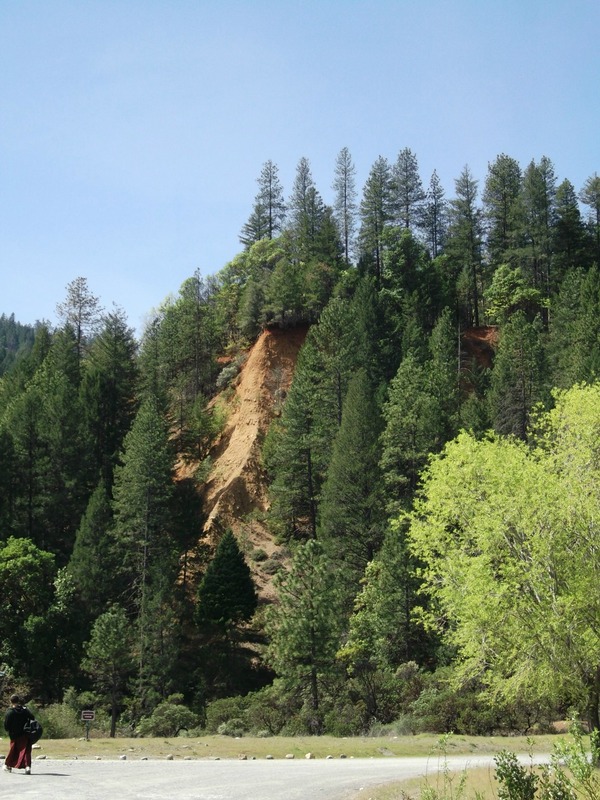 Follow this link to read about the teaching weekend at Chagdud Gonpa-Rigdzin Ling given by Jigme Tromge Rinpoche, "Preparing for the Great Perfection."